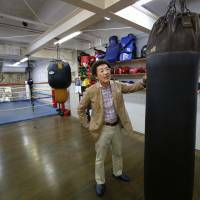 It was a long fight for Yoko Gushiken to find life after boxing. Or rather, to find his life was all about boxing, after all. 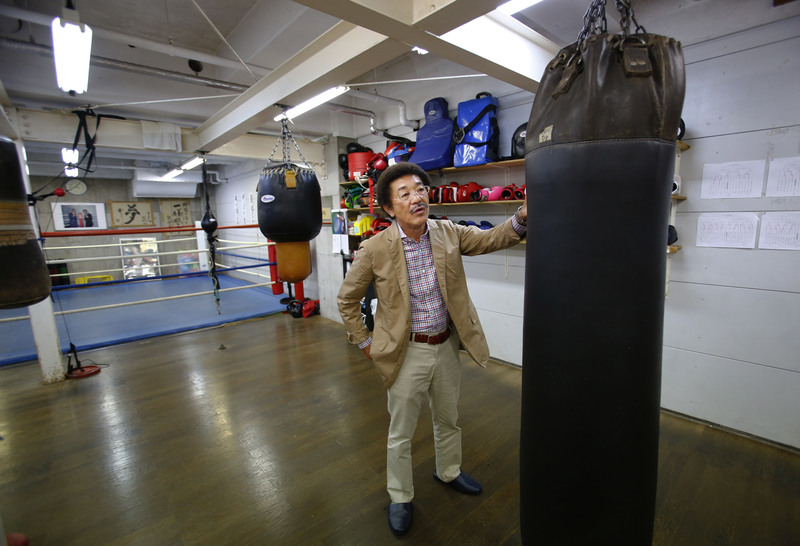 It took his induction last month into the International Boxing Hall of Fame — an honor only two other Japanese have received — to allow him to reconcile with who he truly is. Three decades after retiring from the ring — often feeling lost and depressed — and after a secondary career as a TV comedian, the former WBA light flyweight champion now accepts his status as a boxing great. “I saw how splendid boxing was in this world,” said the 60-year-old Gushiken, often clenching his fists to emphasize his points. He appeared a little embarrassed when asked about his TV appearances, particularly on quiz shows, in which he portrays a disarming error-prone character, a gimmick designed to draw laughter from the audience. Many younger Japanese know him only as a TV personality, oblivious to Gushiken’s boxing legacy: He defended his belt 13 times, still a record for a Japanese fighter. He never had it easy, from the beginning. He grew up on Okinawa, the southern islands occupied by the U.S. after World War II until 1972. When he traveled to high school tournaments on the main islands, he had to bring a passport. But his pride in his Okinawan roots and his determination to fight for his people drove him. He grew up on Ishigaki, one of the farthest islands, where “we didn’t have anything”— no cars, no clothes, no food, he said. “We would get sneakers, maybe once a year. That was it,” Gushiken said in an interview this week at his gym, dotted with colorful gloves, dangling sandbags and a poster of Oscar De La Hoya. A fledgling boxer was wrapping his tiny hands by a humble ring. For years, the island had TV reception only for the single public broadcaster. His hometown couldn’t even watch his fights. Even after turning professional, he was so short on money he worked at a pork-cutlet restaurant while he defended his title five times. Gushiken is still grateful to the restaurant owner for giving him that job. Shinkichi Kinjo, 70, Gushiken’s high school boxing coach, said he knew right away from the fiery way Gushiken looked at him that he was special. But he had hopes for sending him to college and maybe the Olympics, and was disappointed when Gushiken turned pro, without going to college. “But he told me he would make up for it by becoming a champion,” Kinjo said proudly, in a telephone interview from Okinawa. Gushiken reigned as champion for nearly five years, recording eight knockouts, until he was defeated in a 1981 bout, sadly, on Okinawa, where he remains a hero. Back then, title fights went for 15 rounds, although fortunately he knocked out almost every opponent, and rarely had to go the distance. The refs didn’t stop fights quickly, and he fought four times a year. Younger boxers have technique, Gushiken acknowledged, but many lack what’s most important in the making of a champion. A slight but sprightly man who sports curly hair, Gushiken made it clear he works as a tarento, or “talent,” as Japanese call actors and comics, to spread the word about boxing. He also needs the TV appearances to raise funds for his Tokyo boxing gym, which he has run for 20 years, to get his boxers fights that may lead to his dream to produce a world champion. But Gushiken did little to draw attention to his Hall of Fame induction in Canastota, New York, on June 14, including from the Japanese TV shows he frequents. He went quietly, flying at his own expense, booking his own hotel. And so he was stunned when he was thronged by American fans, who somehow found out where he was staying, and were waiting in the lobby to get his autograph — not on pieces of paper, but on boxing gloves, his photos, and even a pamphlet from one of his fights. When he went on a victory parade down the streets, he heard someone yell, “Yoko,” he recalled, tears brimming a little. He dined at a table with two of his biggest heroes, Ruben Olivares and Pipino Cuevas. He was impressed by the fun personality of fellow inductee Riddick Bowe. It was so much fun, he would move to the U.S. this minute, if only he could speak English a little better.